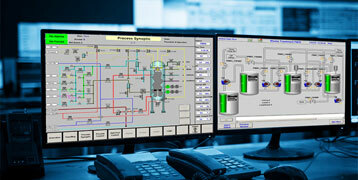 Recently, Computerized Systems (CS) using Programmable Logic Controllers (PLC) have been utilized for controlling drug manufacturing equipment (hereafter, manufacturing equipment). Such a CS is referred to as a PLC-Based CS (PBCS). Upon the use of PBCS, the regulatory authorities require drug manufacturers to prove that their CS has adequate functions and performance. Along with the sophistication of manufacturing equipment functions, the PBCS functions have also become complicated. This has made it difficult to prove the adequacy of the functions and performance. In this research, we propose methods for proving the adequacy of the functions and performance of PBCS with complicated structures. Drugs are essential for maintaining human life and health, while they have significant influence on the human body. This requires proper quality of drugs medicines. In order to produce drugs with proper quality, appropriate production processes are necessary in addition to use of proper raw materials and their blending percentage. Drugs have been produced manually in the past. Recently, however, they are produced by production facilities that are automatically controlled by CS in order to enhance production efficiency. Therefore, proper workability and operability of CS has become more important. On the other hand, there exist issues that poor quality drugs are produced due to the malfunction of CS. For this reason, the regulatory authorities required drug production companies to prove that their drug production processes and CS that controls such processes are adequate to produce high-quality drugs by showing evidence based on documents or electronic data regarding drug development and verification. The procedure that proves the adequacy of the production processes is referred to as Process Validation (PV), while the procedure that proves the adequacy of the CS used for production is referred to as Computerized System Validation (CSV). Usually, PV and CSV procedures are implemented in a parallel manner along development when production facilities are built. At first, the CSV standards are stipulated according to each country that produces and sells drugs. Therefore, export of drugs on which CSV is conducted in accordance with the export country requirements must also be conducted again to meet the CSV standards of the importing country. Since a lot of labor is needed to conduct CSV, this has actually produce significant work load on drug production companies. Therefore, the International Society for Pharmaceutical Engineering proposed CSV standards that incorporate the CSV standards of each country. 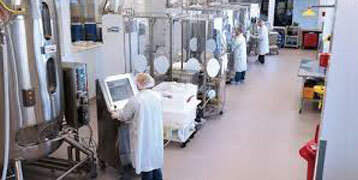 These standards are referred to as the Good Automated Manufacturing Practice (GAMP). Implementation of CSV in accordance with GAMP makes it comparatively easier to export drugs to other countries. Therefore, GAMP has become the de facto CSV standard. Currently, the fifth edition of GAMP is being used. As mentioned earlier, the production processes of drugs have become complicated, and the functions of PBCS to correspond to this situation have also become complicated. In order to achieve complicated functions, PBCS has been developed by combining the following software programs: Packaged software that cannot be modified, configurable software, and individually-developed software. However, GAMP did not include any descriptions regarding CSV for CS with such complicated structures. 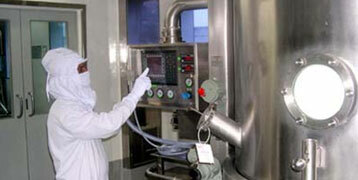 Therefore, this has made it difficult for drug manufacturers to conduct CSV. 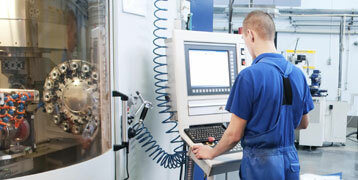 Manufacturing equipment will be used for a longer period of time once it has been developed and built. During the period of operation, various processes, facilities, and PBCS are modified. With respect to CSV, when modification is done, the functions and performance of the modified part needs to be confirmed immediately, and their adequacy also needs to be proved. Additionally, the modified functions might have influence on other functions. However, it has become difficult to understand the accurate range of this influence. These facts have caused various problems to drug manufacturers regarding the implementation of CSV for PBCS. Identify which computerised systems are subject to validation. Provide brief descriptions of the validation strategies for different categories of computerised systems as well as other validation activities. Outline protocols and related test procedures for all validation activities including computer systems. Define reporting requirements to document validation exercises and related results. Identify key personnel and their responsibilities as part of the Validation Program. In the real business world, it has often been seen that validation professionals from pharmaceutical companies lack practical experience in relation to the development and use of Programmable Logic Controller (PLC) application software. Understanding and configuring today’s software packages are easier than ever before; however validation of automation systems is indeed an arduous task. Typically, control system integrators or system suppliers are not trained in current good manufacturing practices (cGMP) or good X practices (GxP) relating to Food and Drug Administration (FDA) compliance where ‘x’ can mean clinical, laboratory, manufacturing, pharmaceutical and others. They also do not possess the solid validation operational experience required for FDA compliance. The know-how gap between supplier and users in the pharmaceutical industry is obvious, and problems caused by this gap can be numerous. As a result, good automation manufacturing practice (GAMP) has come into being to address these issues as it considers the overall automation system validation methodology. Yet, even GAMP serves to provide a guideline only rather than dealing with practical development of the PLC cycle. Therefore, the emphasis is on good engineering practice (GEP) which ensures that engineering or software development methodology generates deliverables that support the requirement for qualification or validation in the pharmaceutical industry. The control system integrator or system supplier must plan a software development strategy that holds the key to a successful compliant system. Today’s control software packages use a variety of programming languages such as function blocks, ladder logic, sequential function charts, etc. These programs must be clearly documented and easy to update in order to improve the plant’s productivity over its expected life. A simple, universal system of matrix-based documentation can be easily developed jointly by the process control system engineers and production engineers. Such a methodology of documentation has been created and applied to several batch control plants, the most recent of which are several multi-recipe, multi-product specialty chemical plants. 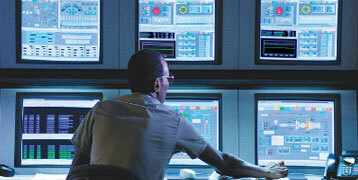 This concept of software documentation, which involves mainly the sequence control and safety interlock logic functions, has proven to be an effective way to transfer process technology and operational know-how of an existing pilot scale operation to a new, fully automated, large-scale production plant. 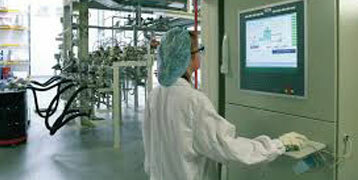 How do you go about validating a PLC system in the pharmaceutical industry? When a pharmaceutical manufacturer realises that validation of either an existing or new computer system is required, and enters into a contract with a supplier, it's important that a working relationship is established. This has to be more than a mere purchase order supply agreement, and has to account for the needs and responsibilities of both parties. Validation is the documented evidence that a process or system does what it's supposed to do. In the pharmaceutical industry, this means that a process must manufacture the final product within established limits and specifications and that each step of the process be recorded. A computer system which controls the process must operate in a manner that will maintain these product specifications.